One of the key elements of collaborative learning is having adequate space. And as with all learning activities, how that space is configured can help or hinder collaborative activities among students. The simplest definition is the grouping and pairing of students for achieving an academic goal. Students can gather in formal, informal, and virtual learning spaces. 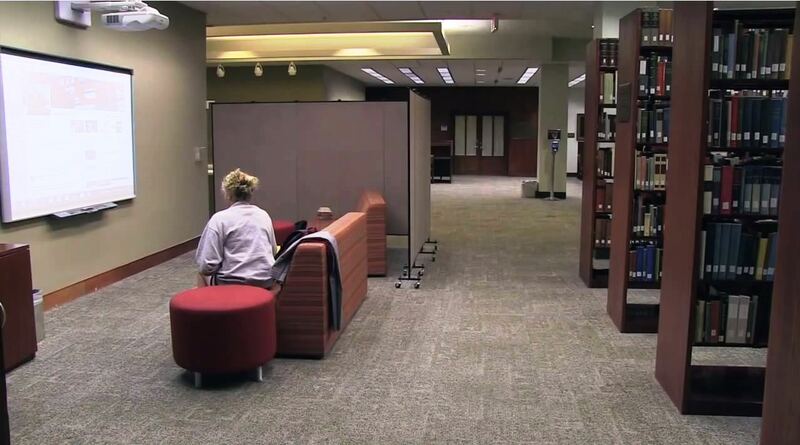 One of the most cost-effective and easiest places to create informal collaborative learning spaces at is the library. It is imperative that the furniture in CoLAs be able to easily move and set up in another space if needed. Library spaces are the ideal place for these planned informal groupings where students and faculty can gather to learn outside the classroom. Because almost every electronic device can run on wireless networks now, any area has the potential to be used as an informal collaborative learning space. Being able to use partition walls to create group learning spaces, allows the rest of the library space to still be available for other classes and activities, and for students working quietly or independently. If you’re looking to add flexible, informal learning spaces to your library, contact one of our design consultants directly at 800-553-0110, or if you prefer, use the live chat feature on our website.